This weekend the ladies of the North will roll (ok, drive in cars playing very loud music) over the Brynderwyn Hills to face Auckland’s Pirate City Rollers. In our first game of the season, the Northland Nightmares team Hell’s Wives are bringing the action to the YMCA at Pitt St in Auckland on Saturday. 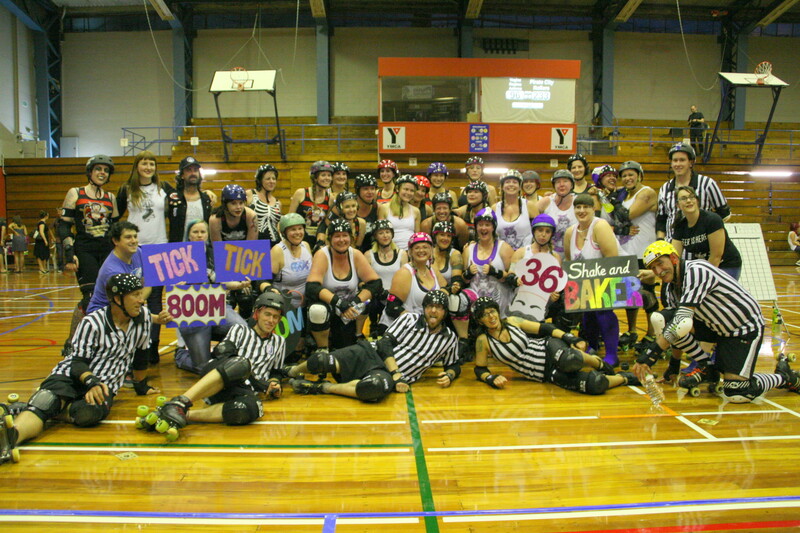 These Auckland ladies are awesome and we’re just stoked to kick off our 2015 season by playing our derby sisters and closest derby neighbours. On February 14, Switchblade Betty,Glamerzon and Psycho Sis played against some of the PCR crew at the YMCA when they were guest players for Vagine Regime Aotearoa who faced PCR. The game ended with a 233/96 score to PCR, who dominated the second half. We are feeling some team love this week as we kick off our season. Here’s what some of the Hell’s Wives team had to say about their team. On Saturday, Hell’s Wives will be bringing their tiny terrors too – the junior derby squad – for an opening demonstration of a juniors’ game with players from Northland, Auckland and Hamilton playing. WHERE: YMCA Pitt Street, Auckland. TICKETS: $15+bf online at Under the Radar, $20 on the door. $5 under 10’s and FREE under 5s.